Home > News > Product Knowledge > How to Install the Bearing of the Vibrating Screen? The bearing of the vibrating screen is a very important component in the vibrating screen equipment. It is the connecting part used to connect the various parts of the vibrating screen. The frictional force is also the biggest, which is often caused by the problem of its own quality and the improper operation of the personnel. For example, the amount of lubricating oil added is not suitable; the clearance is not properly selected, etc., causing damage to the vibrating screen bearing, which requires replacement of the bearing of the vibrating screen. Here is how to install the bearing of the vibrating screen. The working environment of vibrating screen bearing is relatively bad, such as high humidity, dust particles, high speed, high temperature, large work load, accompanied by strong vibration and so on, so the correct installation of vibrating screen directly affects the use of bearing precision, performance and life. 1. Clean the bearing and its related parts. 2. Check the size of the associated parts and the accuracy of the processing. 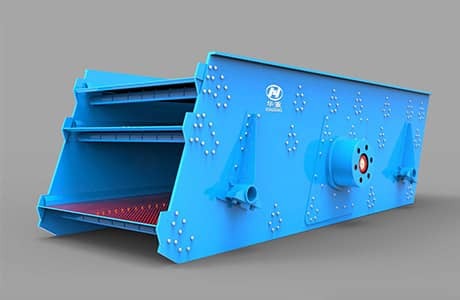 Due to the difference in structure and fit of the vibrating screen bearing, there are also different types, which are generally divided into cylindrical bore vibrating screen bearings and tapered bore vibrating screen bearings. This is a common method used for small bearings. The pad is placed in the inner cymbal, and then the bearing is pressed quietly into the inner ring to the shaft shoulder. 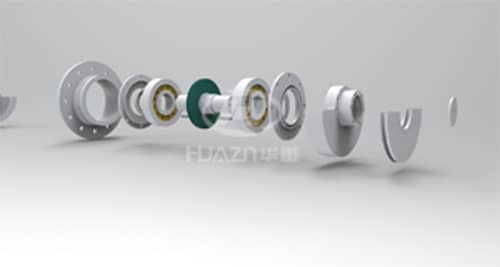 This is the method used by large bearings because the press method requires a lot of pressure when pressing large bearings, so it is difficult to press. The hot-packing method is to heat the bearing in the oil and then easily install it on the shaft. This method can be used not only for short time but also for any external force on the bearing. Method 2: Mount the bearing on the cylindrical shaft with a tightening sleeve and remove the sleeve.